One of the 10 key policy challenges focussed on at the convention was ‘Options for the Future of Indigenous Australia’. The delegates invited to think on this topic came up with 49 ideas for government to consider implementing in order to build a reconciled, happy and healthy Australia that celebrated its ancient history and the abiding culture of its First Peoples. There has been a lot of water under the bridge since the 2008 Summit and much of what was envisioned has been forgotten or pushed away as our governments have gone through one of the most divisive and flailing periods since Federation. It feels like 2019 is offering a new chance for Australia to think big about correcting the historical wrongs made against Aboriginal and Torres Strait Islander peoples; to revisit our thinking about Constitutional reform, closing the gap in health, education, employment and housing outcomes and to place truth-telling and reconciliation at the centre of the national conversation. Next month our sixth Prime Minister in 10 years will be providing the annual Closing the Gap report with promises of a refreshed Closing the Gap Strategy that will be designed in partnership with Aboriginal and Torres Strait Islander Peoples. We already have a Parliamentary report outlining the proposed next steps for Constitutional and representative reform, and fast approaching is the most significant Federal election since 2007 which will determine what type of Government shapes this work for 2020 and beyond. 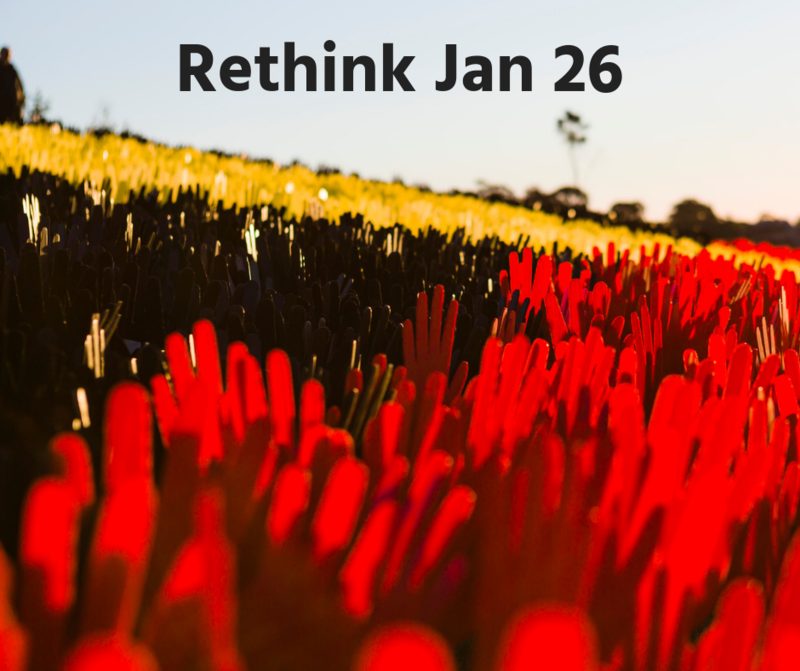 With growing momentum every year, more and more Australians are turning their attention to the validity of holding our National Holiday on 26 January. For First Nations People and their family of supporters throughout the country, it’s a difficult day to be festive and celebrate togetherness on the anniversary of the invasion of their lands and the start of an age of oppression that many would say continues to this day. It is hard to dispute the overwhelming impact that European colonisation has had on Aboriginal and Torres Strait Islander peoples, from decades shorter life expectancy, systemic racism and shamefully distressing and world-leading rates of incarceration - the intergenerational trauma caused by colonisation continues to be felt to this day. Karen Mundine, CEO of Reconciliation Australia said earlier this week that Prime Minister Morrison was ‘missing the point’ in canvassing options that don’t include public debate on moving the date. It simply cannot be a national celebration whilst actively ignoring the pain and trauma that has resulted from 26 January some 231 years ago. We can do better. We encourage all Australians to also seek out and reflect on the perspectives First Nations people have of this day - this is all about truth-telling and reconciliation. Right now, please take or renew your pledge not to celebrate on January 26. We’ve seen councils like Fremantle (WA), Darebin (VIC) and Yarra Council (VIC) change their plans for 26 January because they have sought to listen and understand the views of First Nations people in their communities. We commend them for taking this stand. They’ve taken action because taking practical steps towards reconciliation and respecting the truth about the legacy of invasion are important values in their community and worth talking about. Local debate is emerging all over the country. Here’s how you can help. If you’d like to take more concrete action yourself, encourage your local council to begin the conversation in your community and rethink our National Holiday today. Write to your local councillors and make your feelings known. Make a time to meet them and discuss the issue. Impress upon them that now is the time for your community to engage with First Nations communities and peoples, debate the issue respectfully and consider moving official activities from the 26 January. See if some of your neighbours would countersign your letter or will send their own. Be part of the conversation starting in your local area. And please tell us about what you are doing! For Australians being honest about 26 January as the date of our national holiday and what it means for Aboriginal and Torres Strait Islander people can be confronting and challenging, but listening and embracing the truth is what is needed, and it helps all Australians to move forward together. The ANTaR team is looking forward to working with you in 2019 to push us closer to the vision of Australia in 2020 and beyond that was articulated in 2008. With your help we can make a difference.